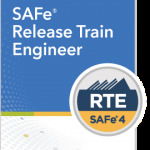 Attendees explore the skills needed to facilitate and enable end-to-end value delivery through Agile Release Trains (ARTs)—and learn how to build a high-performing ART through servant leadership and coaching—by becoming a SAFe® 4 Release Train Engineer (RTE). During this three-day course, attendees will gain an in-depth understanding of the role and responsibilities of an RTE in the SAFe enterprise. Through experiential learning, attendees will examine the RTE role in a Lean-Agile transformation. They will learn how to facilitate ART processes and execution, coach leaders, teams, and Scrum Masters in new processes and mindsets. They will also learn how to prepare, plan and execute a Program Increment (PI) planning event, the primary enabler of alignment throughout all levels of a SAFe organization. This workshop will be delivered by Yuval Yeret SPCT in the ForeFront center in Waltham, MA – within easy reach of Boston Logan airport.